What makes a film profound? One could say that it’s how the film goes deep into an unexplored aspect of human existence. As film is a medium with a unique language, a profound film is one which uses the film language to express an untold truth about human existence. Here is a list of 15 films that achieve this goal, expressing a truth about our reality that goes beyond what ordinary language can express and relies on the poetic nature of film language. The Polish series consisting of 10 episodes inspired by the Ten Commandments is one of the greatest creations in film history by one of the greatest masters of film, Krzysztof Kieslowski, and co-written by Krzysztof Piesiewicz. Each of the 10 episodes of the series displays a characters facing a moral dilemma. The series was intended as a portrait of the hardships that Polish society was suffering at the time. There are many techniques used by these masters of dramatic filmmaking through the series, and an example is the recurrent apparition of an actor playing different characters. The character that this actor plays does not intervene in the action, but only observes it, suggesting a supernatural presence. But each episode of the series displays different techniques to explore the nature of violence and morality. In general, “Dekalog” explores the moral relationship that the individual has with society. Almost all of Hitchcock’s films are made with a great degree of mastery, and also with the constant interest of displaying the very unique perspective that the master of suspense had on the world. This was discussed by Truffaut and Hitchcock himself in the book that Truffaut wrote on the films of the British director. But there is no film in Hitchcock’s filmography that goes so deep with these tools to explore the inner world of a character, and at the same time, the nature of reality. 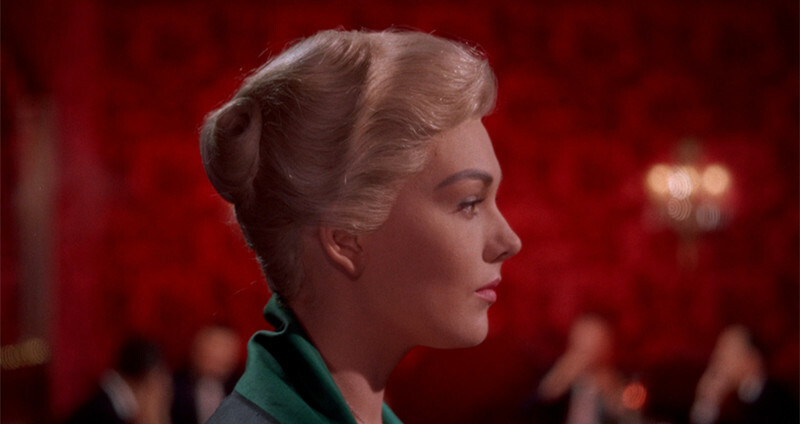 Slavoj Žižek talks about “Vertigo” on a fragment of “The Pervert Guide to Cinema,” and in this fragment he explains only one frame of the film and the implication of the illumination. With these fragment, Žižek reveals the major theme of “Vertigo”: identity and the deception it implies. The film is a complex entanglement of lies and deceptions all around the identity of woman, made with the great mastery and precision that characterized Hitchcock. 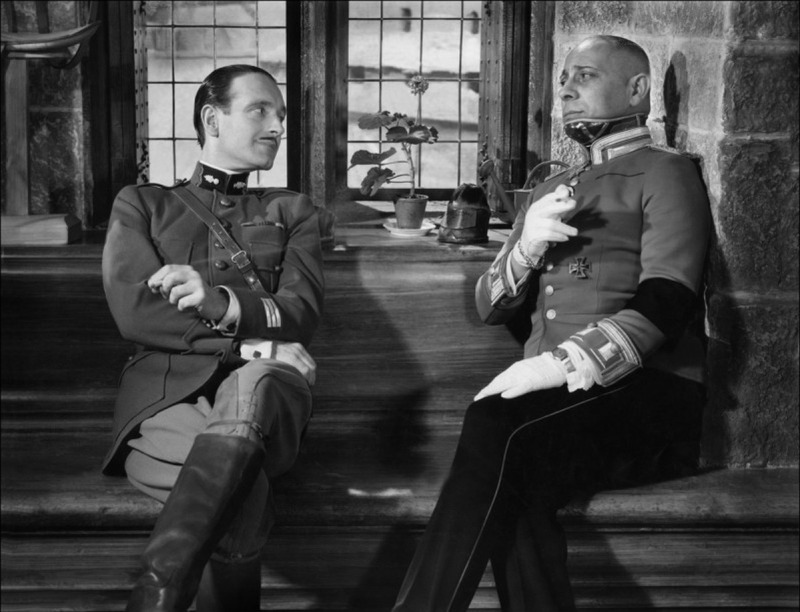 One of the greatest films by Jean Renoir, the film he made on war and the way in which it affects the life of men. Released in 1937, the film displays the struggles of a group of French prisoners in a German prison. Displaying his great sensibility, Renoir created a film that is a meditation on the war as a phenomena that divides men, but also on humanity as that which keeps them together and allows them to show mercy to each other. These themes are shown through the way in the characters of the films related to each other; this allowed Renoir to create a film in which the camera contributes to express and show this relationships. The culmination of Hungarian filmmaker Béla Tarr’s filmography is also is most pessimistic and precise. 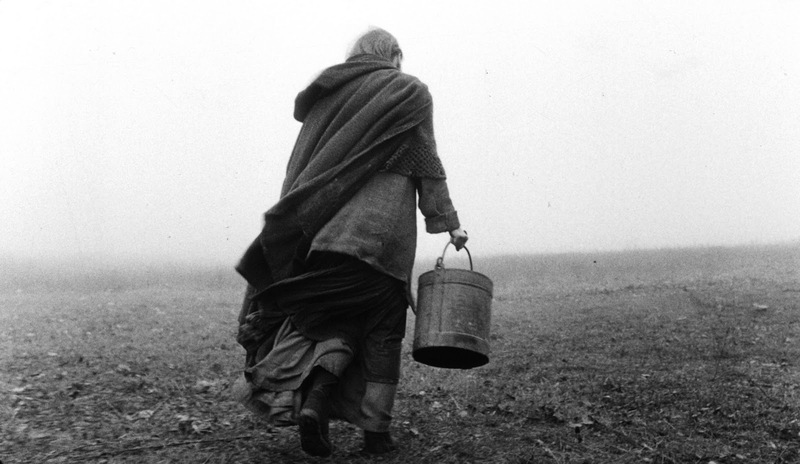 Tarr has said about “The Turin Horse” that he wanted to make a film about death, which also was the peak of what he hoped to achieve with the language he had developed through the years. In this film, Tarr created a portrait of two characters living in a world that appears to be coming to an end. “The Turin Horse” repeats over and over again the same episodes in the lives of the characters. They are struggling with their ordinary and painful lives, and even though they try to escape it, they do not manage to do so. The unbelievable technique of Tarr, along with the painful (yet adequate) rhythm, allows the film to be the portrait of a dying world which reflects the decadence that we can see in our own world. Released in 1997, this is one of Lynch’s more challenging films, and also one of his most successful ones. The film features two lead characters, one for each half of the film. The first one encounters a strange man who appears to have the ability to film inside his house, and the other, a younger man who tries to ride himself and his love out of the crime world. Lynch interrupts the arch of the first character abruptly without any explanation, leaving the possibility that the second character may in some way still be the first one. “Lost Highway” is one of the most ambiguous and powerful explorations done about identity and the evil inherent to it. The reappearances of characters and circular structure helped Lynch create the ambiguous and disturbing experience of the film. One of the greatest masterpieces by Lynch, a film that will never stop puzzling viewers and will continuously create questions rather than answers. The encounter between two friends who have not seen each other for many years and have gone their separate ways is the subject of this film directed by Louis Malle and written by the characters portrayed in it. The two friends are involved in theater, but as Wally had been educated in the New York scene, surrounded by capitalism, Andre has worked with Jerzy Grotowski and travelled along the avant-garde scene of Europe. The formal achievements of the film are not what makes it so interesting, but the dialogue between the two characters. The different experience that both of them have materialize in a constant tension between the ways in which they see life. Fundamental themes, such as the meaning of art and happiness, are discussed by the characters. 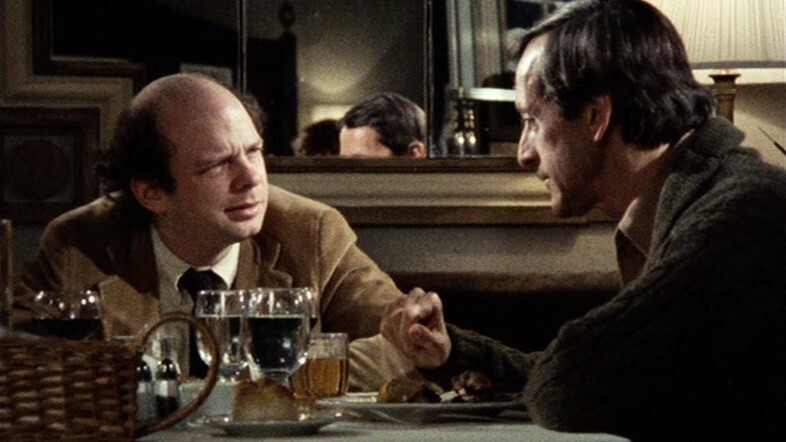 What makes the film so great is that neither of the characters succeed in chasing the opinion of the other, instead they leave the restaurant with even more questions than those they had when they arrived. Another film that deals with decadence, this time by the great Italian master of the “inner world,” Michelangelo Antonioni. This is a film done within the Italian symbolism of the 1960s. 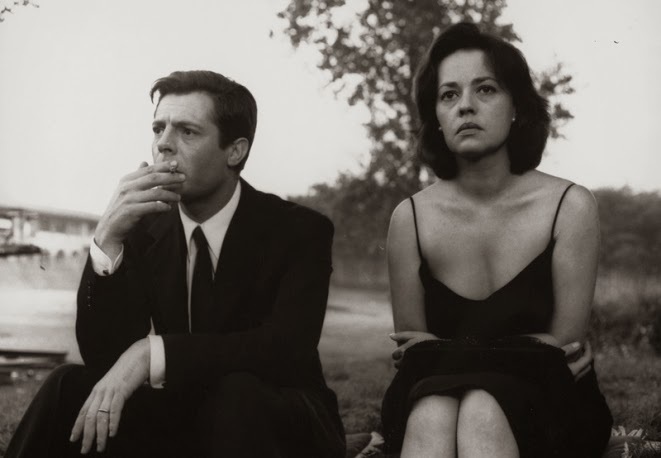 In “La Notte,” we see a day and a night in the life of a couple who has been together for many years. As with the world around it, the relationship of the couple is in deep decadence. 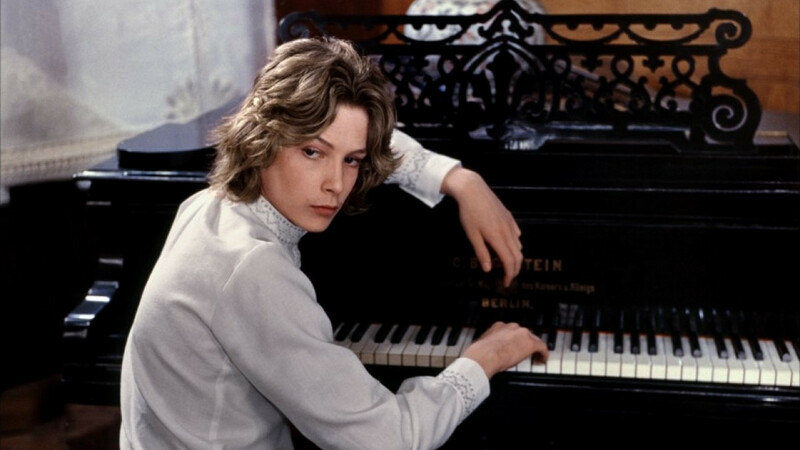 This is one of the great virtues of the film, that the physical world reflects the inner state of the characters. The film is full of characters who claim to be tired of playing a role; this is one thing that Antonioni achieves, that of creating a world of both figures and characters. There is constant tension between being a figure and a character, which led to the final moment between the former lovers. Through a letter written in the past, the woman reveals to the man that there was a love between them that no longer exists, and which is always destined to fade from the world.